Watch the highlights from two-way players Marcus Paige and Mangok Mathiang. Marcus Paige recaps the season during his 2018 Exit Interview. 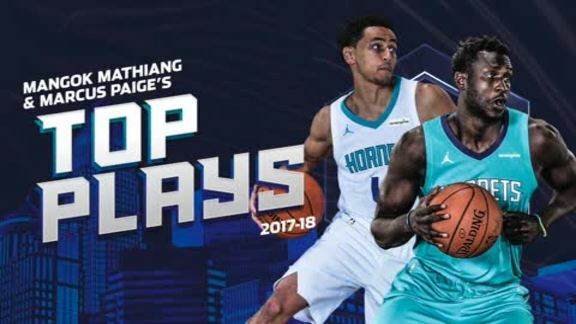 Marcus Paige and Mangok Mathiang made their debuts on the NBA landscape this season as the first-ever two-way contract players in the history of the Charlotte Hornets franchise. A second-year point guard who spent last season with the G League’s Salt Lake City Stars, the UNC alum Paige’s signing with the Hornets organization meant returning to the same state where he played collegiately. Mathiang, a rookie combo forward who played for Charlotte’s 2017 Summer League Team, joined the squad following a four-year career at Louisville. Upon the completion of training camp, both players stayed on the Hornets roster until the beginning of the G League season in mid-November. They each ended up making their NBA debuts in a 110-93 home win over the Nuggets on Oct. 25. For Mathiang, this occasion was particularly momentous as he became just the fifth Sudanese-born player to ever appear in a regular season NBA game. The pair spent the majority of the year playing for the Greensboro Swarm and were primarily only recalled to the Hornets roster on an at-need basis. Paige averaged 15.2 points on 42.8 percent shooting, 3.0 rebounds, 4.4 assists and 1.4 steals in 46 games (39 starts), while Mathiang put up 10.8 points on 51.9 percent shooting, a team-high 9.2 rebounds and 1.4 blocks in 43 outings (36 starts). This year, Paige saw significant improvement in his shooting percentages compared to last season in addition to increased averages in rebounding, assists and steals. Mathiang was a double-double threat on a nightly basis in the G League thanks largely to his physicality and overall aggressiveness. 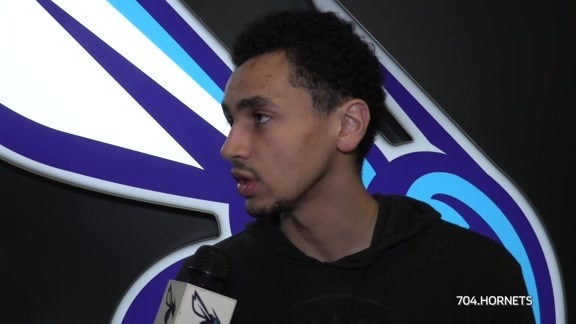 Although neither player had a large role for the Hornets at the NBA level this season, Marcus Paige and Mangok Mathiang’s progression over the course of the year was certainly a bright spot for the organization from a developmental standpoint. Check out scenes of Marcus Paige & Mangok Mathiang during the 2017-2018 Season. Paige averaged 2.4 points, 0.8 rebounds and 0.6 assists in 5.6 minutes over five total appearances for the Hornets this season. He tallied a NBA career-high nine points and two assists in a win over the Memphis Grizzlies on March 22. Mathiang put up 2.0 points on 57.1 percent shooting and 2.5 rebounds across 5.0 minutes over four total contests for Charlotte this year. He also finished with a NBA career-high eight points and four rebounds against the Memphis Grizzlies on March 22. 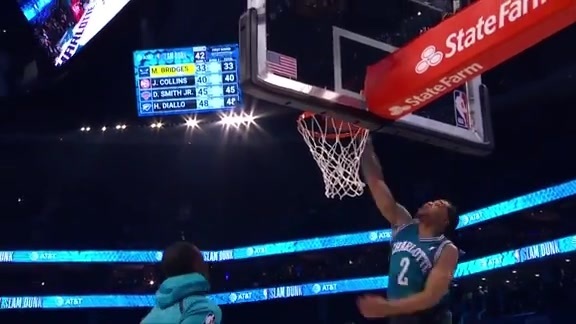 Both players are heading for restricted free agency this summer and are eligible to receive qualifying offers (another two-way contract) from the Hornets, meaning the organization would be able to match any potential deal put forth by another organization. If qualifying offers aren’t extended, Paige and Mathiang would be unrestricted free agents and eligible to sign with any team they choose.